So far, President Trump's rhetoric about “clean coal” has been just that so far — talk. And often when Trump stumps in speeches about the fledging technology, which involves capturing carbon dioxide from smokestacks and storing it underground, it’s unclear whether he really understands the basics of it. But not so in Congress. Members in both chambers are pressing ahead with a legislative effort to strengthen a tax credit for carbon capture and storage, viewed by advocates of the technology as crucial toward making sequestering the climate-warming gas economically viable. Late Wednesday, a bipartisan group in the House of Representatives introduced a legislative fix to the carbon-capture tax credit that has attracted 24 Republicans and 9 Democratic co-sponsors in addition to the lead sponsor, Rep. K. Michael Conaway (R-Tex.). Under current law, carbon emitters get a $20 tax credit for each metric ton of carbon dioxide stored underground and $10 for each metric ton used in enhanced oil recovery. But the carbon-capture lobby says that those tax credits are not high enough to spark private investment. Conaway's bill raises that tax credit to $35 per ton across-the-board. Sen. Heidi Heitkamp (D-N.D.) and Shelley Moore Capito (R-W.Va.) introduced a similar bill in July that an ideologically diverse group of 23 other senators signed onto. They include some of the chamber's biggest climate advocates, like Sheldon Whitehouse (D-R.I.) and Al Franken (D-Minn.), and others who pushed for the United States to withdraw from the Paris climate agreement, like John Barrasso (R-Wyo.) and Roy Blunt (R-Mo.). But such a tax credit loses support toward the edges of the political spectrum. Some fiscal conservatives despise special tax breaks for any specific industry. And some environmentalists dislike any measure meant to prop up the use of a fossil fuel like coal, which has other environmental impacts besides carbon emissions. 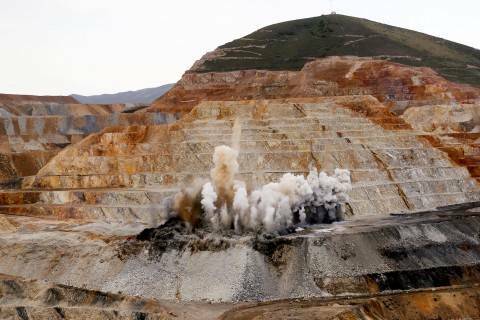 "While this effort to find cleaner energy sources is noteworthy, carbon capture and storage technology for coal plants can't compete with America's plentiful clean energy resources, said John Coequyt, the Sierra Club's global climate policy director, adding that "coal mining and the waste created by CCS projects are too harmful to communities." On Tuesday, Heitkamp was one of three red-state Senate Democrats invited to a White House dinner as Trump tries to woo enough support across the aisle to pass a comprehensive tax overhaul. And the president is certainly open to dealing with Democrats lately -- apparently striking some kind of deal with leaders Nancy Pelosi (Calif.) and Chuck Schumer (N.Y.) last night to fix DACA while pumping up border security (no wall necessary, say some versions of the story). That follows a deal on fiscal matters and hurricane relief with "Chuck and Nancy" earlier this month, infuriating Republicans. During that dinner, Heitkamp pressed for her carbon capture tax credit to be included in a tax package, her office said. ( Read more on where a tax overhaul stands from my colleague, Tory Newmyer). This month, Trump went to North Dakota to kick off his tax reform effort, where he praised Heitkamp even as Senate Majority Leader Mitch McConnell (R-Ky.) eyes unseating her in 2018. Heitkamp also told Schumer, who dined with Trump on Wednesday evening, that a carbon-capture tax credit fix needed to be part of the discussion when it comes to must-pass legislation. Democrats are also pushing for an extension of tax credits for advanced nuclear energy and “orphaned” energy technologies mistakenly left out of an end-of-year tax-and-spending bill in 2015. Those technologies include small wind power, combined heat and power, geothermal pumps and fuel cells. With all the bipartisanship going around, this is potentially another area of agreement. -- In like Flynn: Democratic lawmakers are looking into whether retired Gen. Michael Flynn lobbied on behalf of a project to sell dozens of nuclear reactors across the Middle East at same time that he served as President Trump’s national security adviser. Reps. Elijah E. Cummings (D-Md. ), the ranking Democrat on the House Oversight Committee, and Eliot L. Engel (D-N.Y.), the senior Democrat on the House Foreign Affairs Committee, wrote a letter that was sent on Tuesday to Flynn’s lawyer and executives of firms that worked on the nuclear project, which attempt to sell reactors in Israel, Egypt and other countries in the region. This is exactly the sort of thing Trump's lawyers worried about: a potential scandal born from the extra scrutiny paid to those embroiled in the broader Russia investigation that don't appear to have anything to do with Russia. Also, why might Middle Eastern countries want nuclear power? After all, so many of them, including Egypt, have signification oil reserves. The answer: Diversification from one energy source whose price can widely fluctuate. For example, the United Arab Emirates, a large oil exporter, is building nuclear reactors with the aim of producing 8 percent of its power from nuclear by 2050 (with another 44 percent expected to come from renewables by that year too). -- Going in for the kill: House lawmakers voted Wednesday to pass an amendment to its 2018 spending bill that would block the Environmental Protection Agency from implementing an Obama-era methane rule. 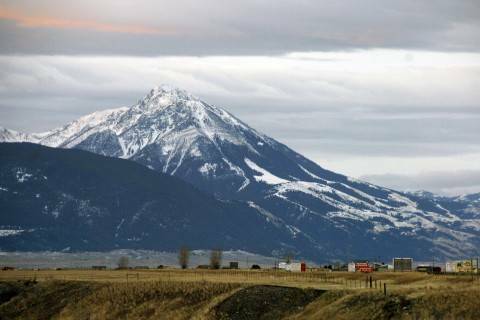 The House voted to pass the measure 218-195 to block funding for the rule that would limit methane emissions from oil and gas drilling sites, according to the Washington Examiner. Why is the House using precious floor time to do this? Because EPA chief Scott Pruitt is having trouble getting it done himself. The EPA had previously proposed a two-year delay on implementation of the rule, though a federal appeals court ruled in July that the agency could not do so. -- This could have been a big storm in FEMA: President Trump’s nominee for the No. 2 spot at the Federal Emergency Management Agency has withdrawn from consideration, NBC News reported, after the network flagged a federal investigation about falsified records. “Given the distraction this will cause the Agency in a time when they cannot afford to lose focus, I have withdrawn from my nomination,” Craig told NBC News in an emailed statement. Craig told NBC News that he disclosed the investigation to the White House and Senate, which would have voted on his nomination. Why'd this happen? An inspector general report should have easily come up in Craig's vetting process, if it occurred. And Trump had the wherewithal to choose William “Brock” Long as FEMA administrator, a veteran of government disaster response from Alabama viewed both before and after Hurricanes Harvey and Irma as a competent pick. His uncontroversial nomination passed the Senate in a 94-5 vote. -- "A longer discussion another day": White House budget director Mick Mulvaney attempted to dodge a question from CNN’s Jake Tapper on Wednesday evening about whether he thought fighting climate change was a “waste of taxpayer money” in the aftermath of two major hurricanes. Mulvaney responded that he would be “happy to have a longer discussion another day about climate change, man-made climate change" but he hopes to focus for now on the hurricane victims. “Alright, well it’s a big topic for the world but I do want to move on,” Tapper responded. This sounds familiar: Two weeks ago in an interview on CNN, White House counselor Kellyanne Conway chided Chris Cuomo for focusing on climate change in the immediate aftermath of Hurricane Harvey. -- R.I.P. : Pete V. Domenici, a Republican congressman from New Mexico who was a leading voice on budget and energy policy died Wednesday at the age of 85. Domenici represented New Mexico in Congress from 1973 to 2009 -- the longest serving senator in the state’s history. He was known, writes Elaine S. Povich for The Post, for being a champion of the Energy Department's national labs system and nuclear energy as chair of the Energy and Natural Resources Committee. Anita & I offer our deepest condolences to the family of former NM Sen. Pete Domenici. He was an ally to @ENERGY & served our country well. Industry hails greater flexibility, while union officials warn it could jeopardize worker safety. 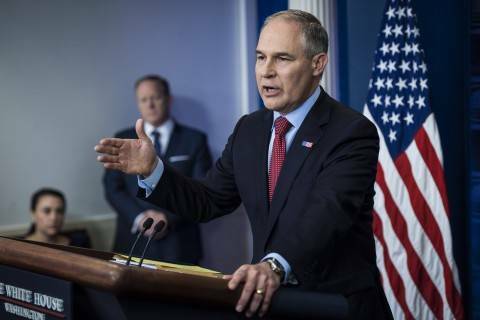 The Environmental Protection Agency (EPA) is pushing back by two years key deadlines in a 2015 rule limiting toxic water pollution from coal-fired power plants. --And now we wait: Five years after Hurricane Sandy, The Washington Post’s Philip Bump reflects on the recovery of Patterson Avenue on Staten Island. “Water was eight, 10, 12 feet deep, depending on where you were. The houses were often not much taller than that in a beach community made up of a number of small bungalows. Days later, the water had fully receded, leaving behind destroyed homes, flooded basements and human bodies,” he writes. And still, the street bears the open wounds of that devastation. -- But what about the deer? Returning home to assess the damage from Irma, Florida Keys residents are also worried about the fate of the endangered population of tiny Key deer. The deer are about as big as dogs, and they have droves of loyal fans. After poaching and habitat loss led to their near extinction in the 1950s, a federal recovery effort helped the deer population rebound to somewhere between 700 and 1,000. It hasn't always been easy: In the past year, they've battled a nasty flesh-eating screwworm that eventually killed 135 members of the fragile herd. Vehicles killed about the same number in 2016. "People can't help but fall in love with the Key deer," Dan Clark, who manages the 8,500-acre National Key Deer Refuge and other wildlife refuges in the Keys, told Brulliard. "I think there are people in the Florida Keys who care about them more than they care about their own pets and family members." -- Oh right, there's another hurricane: Hurricane Jose, which brushed past the Leeward Islands just as Irma was crashing into Florida, is still lingering in the Atlantic. And Capital Weather Gang’s Angela Fritz reports its path is “extremely uncertain." But she adds: "At this point, we’re willing to say that it’s unlikely to impact the U.S. coast. But a few model runs are still hinting at the idea that Jose could begin to drift north and west sometime next week." -- Save the parasites — no, really: A warming planet may be contributing to the extinction of parasites around the world, with a new study finding that one in three may face extinction in the next century. A depletion of parasites in the environment could affect the world’s ecosystems, reports Carl Zimmer New York Times, and cause potential harm to human health. Parasites typically live in or on their hosts, but that does not protect them from climate change. Rising air temperatures can harm them. Ticks, for instance, risk baking in the heat as they wait in the grass for their next victim. Hookworm larvae require damp soil to survive before slipping into someone’s foot. And parasites need their hosts — if they go extinct, their parasites probably will, too. Deer ticks, for example, spread Lyme disease, and climate change models suggest they have a rosy future as they expand northward... Migrating parasites like these will arrive in ecosystems where other parasitic species are disappearing. With less competition, they may be able to wreak more havoc — and not just on animal hosts. Many human diseases are the result of parasites and pathogens jumping from animal species to our own. Increasingly frequent wildfires fed by a warming climate could turn the park’s dense forests into sparser woodlands. 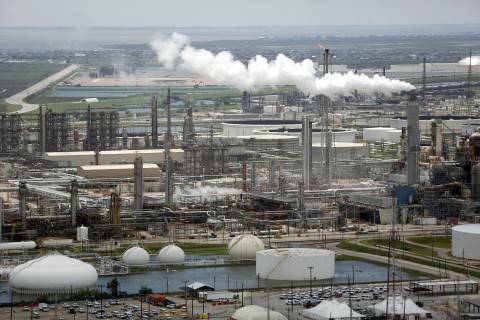 Units of 15 energy companies including Linn Energy, Chesapeake Energy and Flint Hills Resources spilled almost 2,000 barrels of oil and waste water in almost two dozen Harvey-related incidents reported to the Texas Railroad Commission. 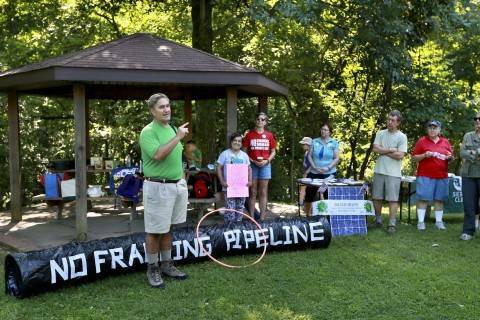 West Virginia environmental officials are planning to take a new look at a natural gas pipeline that they previously approved amid national controversy. --The Big (Green) Apple: New York City mayor Bill de Blasio (D) will announce today a first-of-its-kind plan to force thousands of buildings to meet new energy efficiency standards, as he pushes to make New York City "a national leader in reducing greenhouse-gas emissions,” write The Post’s Brady Dennis and Kayla Epstein. Existing buildings larger than 25,000 square feet would need to have more efficient heating and cooling systems, insulation and water heaters — that would apply to about 14,5000 private and city buildings that would need to meet the new efficiency targets by 2030 or face penalties. The mayor’s office says that would account for about a quarter of the city’s current emissions. After 2030, de Blasio will propose annual penalties that are higher for larger buildings that use more fossil fuels. Penalties would also include blocking buildings from receiving permits for renovations. The Center for Climate and Energy Solutions will hold an event on innovations in carbon capture and use. The Senate Committee on Energy and Natural Resources will hold a business meeting to consider various nominations. Sens. Lamar Alexander (R-Tenn.) and Tim Kaine (D-Va.) find something they can agree on: Music.